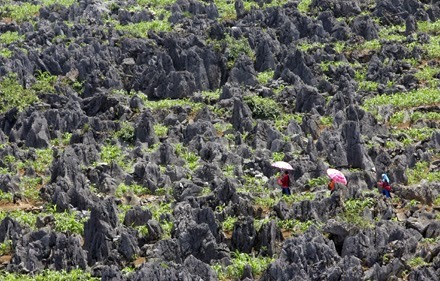 Dong Van Karst Plateau is inhabited by 17 ethnic groups with rich traditional ethnic cultures, histories, customs and festivals. One of their particular characteristics is their adaptability and harmony with the nature in labour, as well as social and cultural activities. The clearest expression is the planting of food crops in rock holes - the most popular and special initiative of ethnic groups on the rock plateau. Filling rock holes with earth to plant crops has become a unique culture and agricultural civilization rarely seen in any other places in the world. Especially, the Tonkin snub-nosed monkey species (Rhinopithecus avunculus) is one of five endemic primate species in Vietnam and one of the world's 25 most endangered primates. Besides, the plateau also has bare rocky mountain ecosystems, regenerating forest ecosystems, and ground mountain ecosystems. Although they do not have as rich biodiversity as natural conservation areas, they significantly contribute to the biodiversity of the geopark. 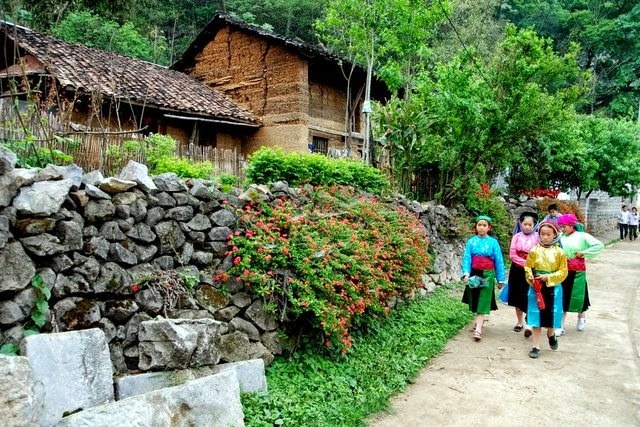 "Developing tourism in Ha Giang must be very careful, otherwise we will have to pay highly for the lost of the priceless gifts of nature," says VNAT chief Nguyen Van Tuan.